Matt Manent - rap italiano, hip hop underground: UNICA VIA: OLTRE CONFINE? Notizia fresca: da settembre Bassi Maestro condurrà una programma hip-hop per un'importante radio svizzera, Radio3i. Contesto professionale e carta bianca sono gli ingredienti base annunciati dal nostro. Solo chi non ha ancora capito come gira il mondo può prendere sottogamba un tale avvenimento. Facciamo un passo indietro: diversi di voi ricorderanno le 6 stagioni radiofoniche di Streetbeat con al timone me, DB e Mike. Un'esperienza di vita impareggiabile, ma purtroppo un sogno dove la professionalità non è sfociata nel professionismo per cause da imputarsi ampiamente alla mentalità italiana. Bussammo a mille porte con capacità e seguito alla mano, ma mentre dei perfetti imbecilli inondavano l'etere nazionale noi restammo fuori dai luoghi che contano: non avevamo né vecchie volpi della discografia come genitori né ganci giusti nella Milano by night, gli unici elementi che avrebbero sbloccato la situazione. Un giorno vi racconterò tutto, ma quanto riassunto credo basti per farvi capire perché sia felicissimo per Bassi. Inoltre, quando si parla di andare all'estero, eccomi presente: è dal 2008 che sono fuori dall'Italia per la maggior parte dell'anno e dopo Germania e UK sono sbarcato proprio in terra elvetica. Non fraintendiamoci: Bassi approda in Ticino per il coronamento di una carriera artistica; io faccio la spola con la Svizzera francese per ragioni strettamente legate all'avere uno stipendio (e ve ne parlerò con "Via ancora", traccia che dovrebbe vedere la luce entro Natale con un nuovo EP assieme a Vest'O). Comunque sia, il punto in comune è che entrambi siamo dovuti andare oltre confine per trovare un miglioramento tangibile. E come noi, con storie delle più disparate, un esercito di italiani in fuga nei quattro angoli del globo. 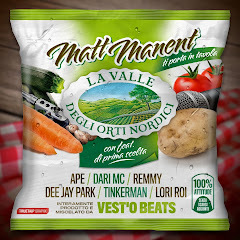 Sfruttando la vicenda di Bassi come termometro tanto musicale quanto generale, che conclusioni vogliamo trarre? Pensate sia solo un caso che a dargli una chance sia una radio straniera? Vi pare che in Italia manchino emittenti, mezzi o spazi? Domande retoriche, perché è lampante quanto i grandi network italiani abbondino di pagliacci o pupazzi. Non necessariamente orchi malvagi o vaiasse, per carità, ma spesso e volentieri delle macchiette senza un minimo di spessore. E a quelli con sale in zucca non rimane che cercar dignità in altre terre. 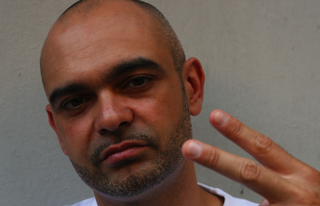 Italian hip-hop veteran Bassi Maestro has revealed that he's soon to begin presenting a brand new radio show. Both a professional environment and the green light on whatever he wants to broadcast are the reported benefits of his new venture. Good news, but it's just the half of it: the juicy bit is that it won't be in Italy. Exactly: ID on display for the Milan-raised rapper/DJ/beatmaker, because Switzerland is where it's going to happen. This is significant news, and if you're not familiar with how things (don't) work in Italy, let me explain why. First of all we need to rewind the clock: some of you will already be familiar with Streetbeat, the radio show I ran for 6 years together with DB and Mike. A great experience under a personal perspective, but with no happy-ending professionally speaking: despite knocking at a million and one doors showcasing our range of skills and a solid fan-base, nothing materialised. We had neither parents up in the music-biz ranks, nor the right friends in the Milan night scene. This resulted in zero access to environments which were key. Exactly: forget about what happens in places like New York or London, where people with solid backgrounds have high chances to make it to the next level. Down here it's "no acquaintances, no party": you may well be bloody George Clooney, my friend, but without a bottle of Martini the door will slam right back in your face. Bassi was given a well-deserved chance, and I'm truly happy for him. Good luck with this international adventure at the Swiss Radio3i. On the other hand, what we end up with in Italy is often a bunch of muppets holding key-positions, in the media as well as in plenty of other fields. It's no cliché, trust me: since 2008 I've spent most of my time abroad, first in Germany, then in the UK and currently right in Switzerland. I do see differences with respect to "the Italian way", and quite big ones when it comes to professionalism. This is why thousands of Italians are currently fleeing the Country. I'll come back onto this topic, especially with a tune called "Via ancora" (meaning: away again) which is going to be included in a brand new EP that Vest'O and I will most probably release before Christmas. Don't think we have no big radio stations in Italy, because of course we do; don't think there would be no interest for hip-hop in Italy, because it's booming like never before. So what's the deal? Well, same ol' stuff: it's no joke when we say that the specimen of a prime minister we had for 2 decades largely succeeded in shaping the Country in his own image. And it seems there's little left to do but crossing the boundaries for those who, whatever the field, seek some dignity.